Could the Way Hummingbirds Hover Help Aviation Technology? This summer, the Defense Advanced Research Projects Agency, the Pentagon research organization, will take the next step in plane automation with the Aircrew Labor In-Cockpit Automation System, or Alias. Sometime this year, the agency will begin flight testing a robot that can be quickly installed in the right seat of military aircraft to act as the co-pilot. The portable onboard robot will be able to speak, listen, manipulate flight controls and read instruments.The machine, a bit like R2D2, will have many of the skills of a human pilot, including the ability to land the plane and to take off. It will assist the human pilot on routine flights and be able to take over the flight in emergency situations. NASA would like to see fewer humans guiding planes on the ground, too. This month, in a research laboratory here, agency officials ran a simulation of new software intended to bring more automation to the nation's air traffic control system, specifically to help with congestion and spacing of aircraft. USAA soon will begin testing small drones on its San Antonio campus and elsewhere in hopes of eventually using the unmanned air systems to expedite insurance claims from customers following natural disasters. The Federal Aviation Commission granted USAA permission to use the drones at its 286-acre headquarters campus and in some unpopulated areas south of San Antonio. The financial services and insurance company said Monday it expects to begin the testing within couple of weeks. USAA joins nearly 100 other companies that thus far have received an exemption from certain FAA regulations pertaining to unmanned aircraft systems. State Farm was the first insurer to receive approval; the FAA granted it permission in February. AIG PC Global Services LLC, part of insurer American International Group Inc., also received approval Friday, the same day as USAA, the FAA's website shows. "This is a wonderful day, not only for technology and drones, but also for innovation and for USAA members," said Kathleen Swain, a USAA underwriter and FAA-rated commercial pilot and flight instructor. "I really see this as a technology that can benefit (members) and ... get their lives back to normal after a catastrophe." Prior to the federal agency's decision last week, USAA was limited to testing drones with Texas A&M at an FAA-approved test site in College Station. USAA still is awaiting a decision from the FAA on whether the insurer will be able to operate drones in areas affected by natural disasters. It expects a decision within two weeks, Swain said. "I used to be a catastrophe manager, so I know first-hand what it's like going into those areas afterward," Swain said. Safety is an issue for USAA employees who go into an area affected by a catastrophe, such as a tornado, hurricane or earthquake, to handle insurance claims. Aerial imagery can help speed up the claims-handling process in hard-to-reach areas, Swain explained. For its research and development, USAA said it will be using the 5-pound PrecisionHawk Lancaster HawkEye. The drones cannot travel more than 100 mph and can operate no higher than 400 feet above ground level, the FAA said in its decision. The drones must be flown during the day and within view of a trained pilot and air crew. All flights will be reported to the FAA before takeoff. 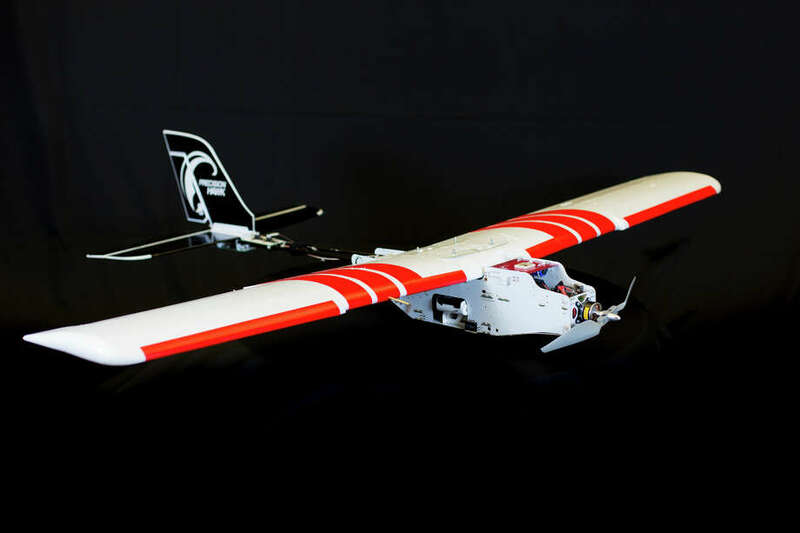 After it received FAA approval, State Farm last month announced it would be conducting test and development flights at private test sites in the Bloomington, Illinois, area, where the insurer is based. State Farm added that it eventually expects the test flights will evolve to testing in "real-world scenarios." "We look forward to testing out this new technology and discovering the potential benefits it can bring to our customers," Jack Weekes, a State Farm operations vice president, said in a statement. FAA spokesman Les Dorr said the agency so far has granted 99 applicant exemptions from FAA regulations relating to drones. Other companies have received permission to use the drones for such things as: aerial surveying; photography and filming; and for utility, flare-stack and bridge inspections. USAA has 10.7 million members, comprised of active military personnel, veterans and their families. Hampton, Virginia - NASA has established a public-private partnership with five organizations to advance knowledge about composite materials that could improve the performance of future aircraft. Composites are innovative new materials for building aircraft that can enhance strength while remaining lightweight. The agency selected the National Institute of Aerospace (NIA) in Hampton, Virginia, to manage administration of the Advanced Composites Consortium, which is working to improve composite materials research and certification. Included in the consortium are NASA's Advanced Composites Project, managed from the agency's Langley Research Center in Hampton; the Federal Aviation Administration (FAA); General Electric Aviation, Cincinnati; Lockheed Martin Aeronautics Company, Palmdale, California; Boeing Research & Technology, St. Louis; a team from United Technologies Corp. led by subsidiary Pratt & Whitney in Hartford, Connecticut; and the NIA. "NASA is committed to transforming aviation through cutting edge research and development," said Jaiwon Shin, associate administrator for NASA's Aeronautics Research Mission Directorate in Washington. "This partnership will help bring better composite materials into use more quickly, and help maintain American leadership in aviation manufacturing." The NIA will handle communications within the consortium and help manage the programmatic and financial aspects of members' research projects. The NIA also will serve as a Tier 2 member with a representative on the consortium's technical oversight committee. NASA formed the consortium in support of the Advanced Composites Project, which is part of the Advanced Air Vehicles Program in the agency's Aeronautics Research Mission Directorate. The project's goal is to reduce product development and certification timelines by 30% for composites infused into aeronautics applications. A panel of NASA, FAA, and Air Force Research Laboratory experts reviewed 20 submissions and chose the members based on their technical expertise, willingness, and ability to share in costs, certification experience with government agencies, and their focused technology areas and partnership histories. Representatives from each organization in the consortium participated in technology goal planning discussions, assembled cooperative research teams, and developed draft plans for projects in three areas: prediction of life and strength of composite structures, rapid inspection of composites, and manufacturing process and simulation. A team of scientists led by the mechanical engineer David Lentink has found the answer to a question which has intrigued aerodynamics researchers for years: what makes bird wings - particularly hummingbird wings - so much more efficient than those found on man-made aircrafts such as airplanes and helicopters? Lentink, an assistant professor of mechanical engineering at Stanford University, and his team found that the key lies in the hummingbird wings' stubby shape. They believe that the results of the study, published in the Journal of the Royal Society Interface, could significantly advance aerodynamics research and cause future aircraft and drone designs to be increasingly inspired by biological models. After taking more than a million fine samples of aerodynamic force and airflow, researchers found that the hummingbird's wing aspect ratios - the ratio of the wing's length to its breadth, or chord - are remarkably low. While high aspect ratios - which result in the long and slender wings or blades found on airplanes and helicopters - perform well when the wings are parallel to the ground, airflow over the wing becomes unstable at more aggressive angles. Hummingbirds wings, however, perform exceptionally well in these circumstances. At higher angles, hummingbird wings required 20 percent less energy to hover in comparison to helicopter blades. By mounting wings from museum specimens of Anna's hummingbirds to a spinning device, Lentink's team found that air flowed around the wing in a pattern that mimicked hovering. They found that the leading edge of the wing created a stable tornado-like vortex in the air. With the knowledge that low aspect ratios favor this ability to hover, the team studied a hummingbird wings with different aspect ratios, from low to intermediate to large. They found that the ideal aspect ratio for vortex stability is 4 chord lengths from the base of the wing; beyond this, the wing stalls. This explains why most birds, insects and bats have aspect rations that are between 3 and 4 chord lengths. Besides answering an age-old aerodynamics question, the study also sheds some light on how quadcopters can be designed so that they do not stall in turbulent air or when a gust of air suddenly increases the angle of attack of the rotor blade. "It can also explain the big divide between engineering and biological wing design. If you operate at low angle of attack, you want to use a super-efficient helicopter blade, but if you need to avoid stall at high angles, you better select a stubby hummingbird wing," said Lentink. In the hours after Germanwings Flight 9525 crashed into a French mountainside, investigators worried about the condition of the airplane's black boxes. Could the voices and data stored within the heavy metal cases survive an impact so severe that all onboard were lost and the plane itself was shredded into small pieces? The flight recorders were recovered - the data recorder found late last week - but concerns remain that the force of the crash may have destroyed some crucial data forever. Possibly more important, experts and investigators say, is all the information that was never gathered in the first place - data that could be saved if the technology were updated to modern standards. Every time you ride in a commercial airliner, you rely on a system of data recorders pioneered more than 60 years ago. Some safety experts believe it can be done better. Introduced on airlines in the 1950s, onboard flight data and voice recorders remain the primary technology for determining the cause of plane crashes and suggesting safety improvements. The recorders have proven incredibly durable and reliable. Black boxes, a misnomer because the boxes themselves are painted bright orange, were recovered from all but nine crashes in the last 20 years, and in only a handful of cases was data lost or destroyed due to power failures or crash damage. Still, three recent disasters show the inherent risk of keeping flight data locked inside a crashed airplane. Investigators believe flight recorders from Malaysia Airlines Flight 370 are lying on the floor of the Indian Ocean, 15,000 feet down. Retrieving them from such depths might prove impossible. It took two months to find the data and voice recorders from Yemenia Flight 626, which crashed into the Indian Ocean in June 2009; retrieving the boxes from Air France Flight 447, which crashed into the Atlantic Ocean the same month, took two years. "It makes no sense to have two sets of recorders go to the bottom of the ocean," said Jim Hall, who was chairman of the National Transportation Safety Board, the federal agency that investigates plane crashes, from 1994 through 2001. Leaders in the commercial aviation industry have argued for years about the best ways to communicate information about aircraft to the people who need it. That data can be used in a number of ways. During normal flight, it can communicate a plane's location and any mechanical issues to airline officials on the ground, helping them track their fleet and schedule maintenance work. 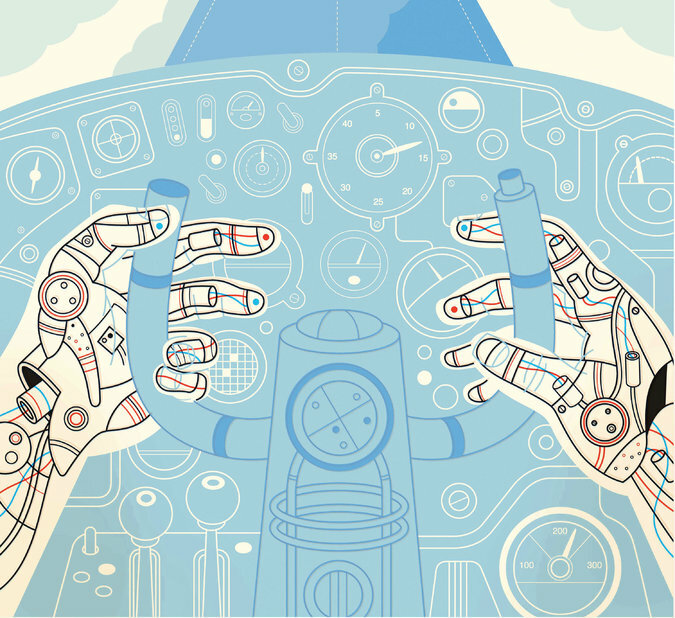 During abnormal or unsafe flight, more data might enable airline workers or air traffic controllers to help the pilots land the plane safely. And during a crash, additional data can speed the response from search and rescue crews, help investigators better understand the problem and improve the industry's attempts to weed out vulnerabilities and improve safety. The need to respond quickly to a crash was highlighted by the crash of Yemenia Flight 626. Dozens of people survived the initial impact, investigators learned. But by the time rescuers finally found the debris field, only one person, a 13-year-old girl, was still alive. "Wherever you are - the North Pole, the middle of the Pacific - if you have the location, you no longer need to search for a downed aircraft," said Blake van den Heuvel, director of air programs for DRS Technologies, a Canadian firm that makes advanced flight recorders. "You can send rescue crews only, and they can get there quickly." And even in this era of big data, top crash investigators believe there are still improvements that would help them reap more flight data and save lives. While some of the new flight data technologies may require years of study by the Federal Aviation Administration before they become required equipment on airliners, each of them is already installed and functioning on aircraft used around the world. "These concepts are known," said Mike Poole, a former crash investigator with the Transportation Safety Board of Canada and one of the world's foremost experts on flight recorders. "We have talked about some of them for decades. But the industry moves slowly." In the Germanwings crash - as with any other air disaster - French investigators have no cockpit video to determine the co-pilot's mental or physical state as the plane hurtled toward the mountains. All they have are recorded sounds of his breath and his actions to increase airspeed to determine he was alive and conscious during the last few moments. Across the industry, planes are not equipped to take video in the cockpit. "We have cameras at 7-Eleven, at Wal-Mart," Hall said. "And yet we fail to have cameras in the cockpit as part of the black box." The National Transportation Safety Board has recommended since 2000 that the Federal Aviation Administration require video cameras in cockpits. The FAA encourages airlines to install cameras, but so far it has refused to require such equipment. The FAA wrote in a letter to the board in 2012 that it has "no way of estimating the number of lives that could be saved or the number of future accidents that could be prevented with the use of this additional data." The powerful Air Line Pilots Association union opposes cockpit video. "Cameras in the cockpit will not prevent an accident," according to a statement from the organization, because video images "are subject to misinterpretation." The more information the better, Poole counters. "We have talked about it for decades," he said. "It is dirt cheap. Just stick a Go-Pro in there, for God's sake." Meanwhile, the FAA has made other technologies mandatory. A rule took effect last month that made it easier to find black boxes underwater by boosting the battery life of transponder beacons from 30 to 90 days and tweaking the frequency to travel farther underwater. And starting next year, all new airliners will be required to carry two sets of voice and data recorders, one in the tail and another in the nose, under new rules from the International Civil Aviation Organization. The organization, an arm of the United Nations that regulates airliners worldwide, also will require all planes flying over remote parts of the ocean to report their position every 15 minutes starting in November 2016. One ping every 15 minutes still leaves a search area up to 1,000 square miles in a crash, however. Some experts say planes should communicate much more often. "A signal every minute means you can locate a downed aircraft to within six nautical miles," DRS Technologies' van den Heuvel said. Two technologies already exist to accomplish that. The older one, called a "deployable" black box, has been used on U.S. Navy planes since the 1960s, Hall said. When sensors along the fuselage detect the skin of the plane is striking water or ground, the black box detaches from the aircraft. This allows it to fly clear of the debris field, reducing damage caused by impact, fire and falling debris. In an ocean crash, the deployable black box floats to the surface and transmits a locator beacon. Airbus, one of the world's largest aircraft manufacturers, has said it will begin installing such devices on planes soon. "On land, if the deployable recorder lands just 200 feet from the main wreckage, it escapes a catastrophic fire, said van den Heuvel, whose company's recorders have been installed on all of the Navy's F-18 fighter jets. "In the ocean, nobody really likes the idea of going to 13,000 feet under the water to get a black box." A competing technology involves beaming black box data to satellites and on to the ground. The streaming service already is working on 400 planes operated by 40 different airlines, according to FLYHT Aerospace Solutions, which manages it. If a problem occurs, such as a blown engine or loss of cabin pressure, the system starts sending bursts of data almost continuously. But the system is not perfect in a crash. It is dependent on power from the engines and a line-of-sight connection to the satellite, both of which may be lost if the plane is careening out of control, said Graham Ingham, operations director for FLYHT Aerospace Solutions. "If you lose connectivity to the satellite, you can lose a lot of data," Poole said. "So why would I do that for the once-in-a-blue moon case when I can't get the recorder?" Ingham counters that even if the system disconnects in the final seconds of a crash, the data still can speed up recovery efforts and help investigators determine the cause. For his part, Poole sees value in a system that allows ground controllers to interrogate an aircraft's computers while in flight. This would help airlines diagnose mechanical problems, and identify rogue pilots. "This is all doable today," Poole said. "We have the technology. We don't do it because there's no requirement to do it." General Electric (GE) is reportedly planning to supply advanced engines for South Korea's next-generation indigenous fighter jet development programme. The company is currently exploring options to submit a proposal to the Korean Fighter Experimental (KF-X) programme's preferred bidder, Korea Aerospace Industries (KAI) to use its F414-GE-400 power plant. GE Korea CEO Chris Khang was quoted by The Korea Times as saying that the company has been a long-term supporter of South Korea's aviation industry, and now wants to be part of the KF-X programme. "We are ready to offer the most capable and competitive engine solutions with F414, a proven platform with the latest technology and a strong track record of reliability and operability that KF-X requires." If selected by KAI, the company is expected to also transfer its manufacturing technology, as well as maintenance, repair and overhaul capabilities. The F414-GE-400 engine incorporates advanced technology with the proven design base of the F404 afterburning turbofan engine, and currently powers the US Navy F/A-18E/F Super Hornets, EA-18G Growlers, Saab Gripen NG and Mark II Tejas light combat aircraft. Khang said one of the significant factors for KF-X programme's success was the exportability of the fighter aircraft, and noted that the company already supported KAI's T-50 and FA-50 export programmes to Indonesia, Iraq, and the Philippines. "With GE's strong global network and technology leadership, we will continue to play a key role in facilitating Korea's efforts to sell its next-generation aircraft abroad." The KF-X project is valued at KRW8.5trn ($7.64bn). It covers domestic development and production of approximately 120 fighter jets of the F-16 class for replacement of the Republic of Korea Air Force's (ROKAF) aging fleet of F-4D/E Phantom II and F-5E/F Tiger II fighters. According to the publication, KAI is scheduled to deliver all 120 twin-engine aircraft to ROKAF by 2032.